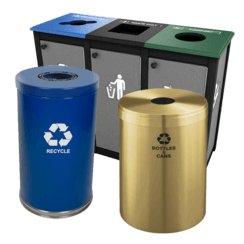 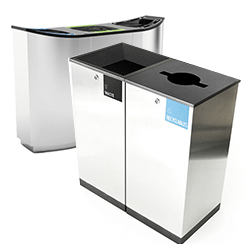 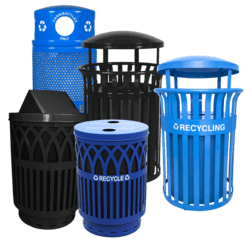 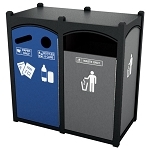 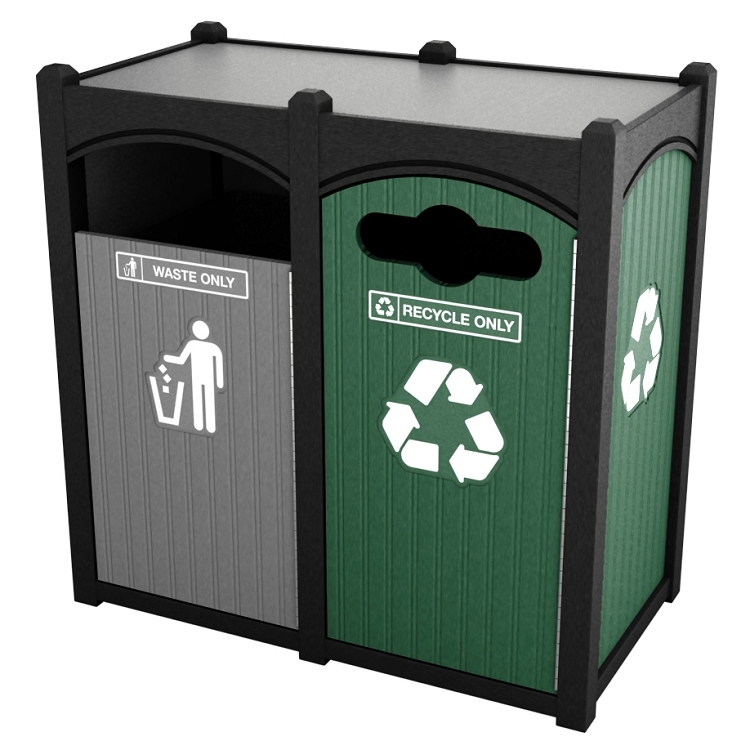 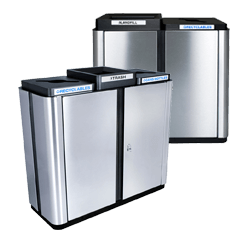 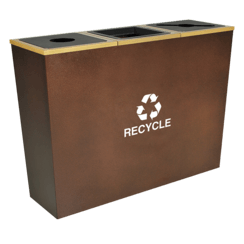 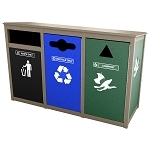 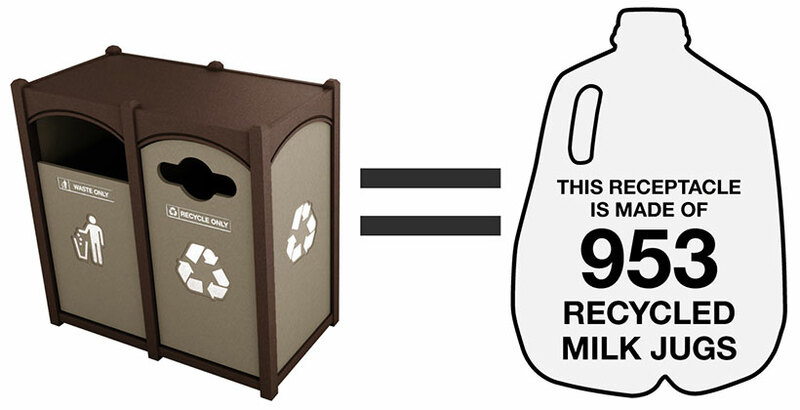 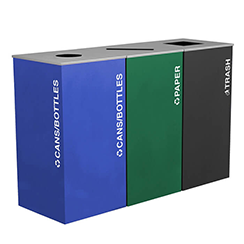 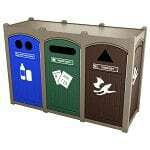 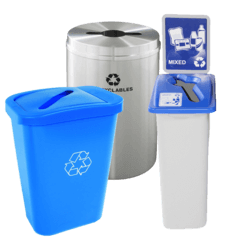 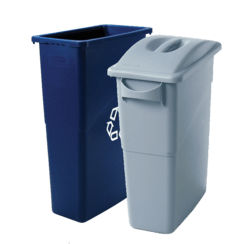 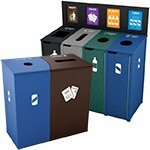 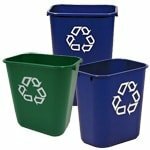 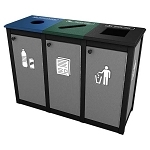 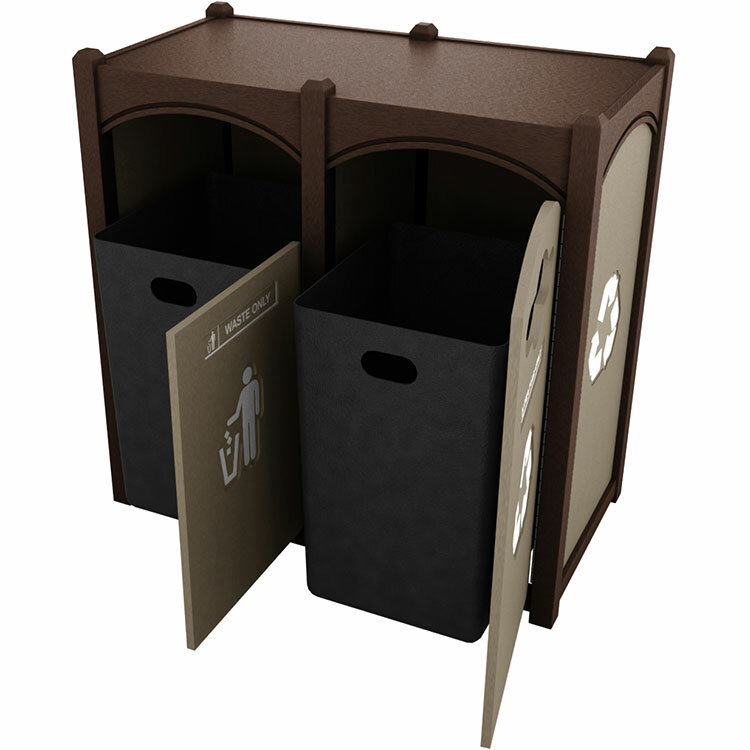 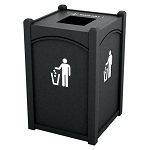 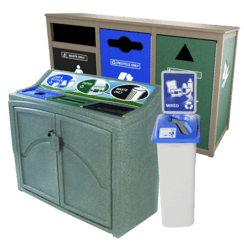 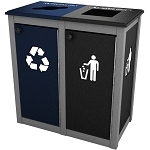 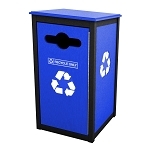 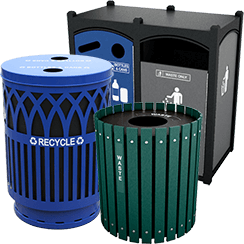 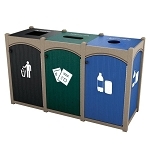 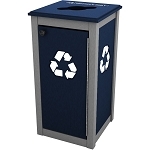 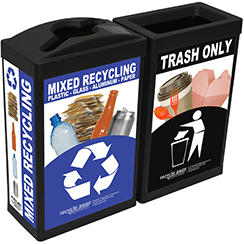 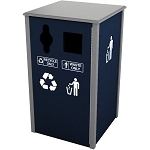 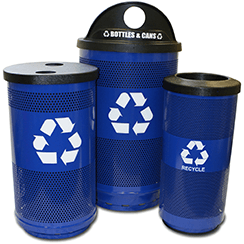 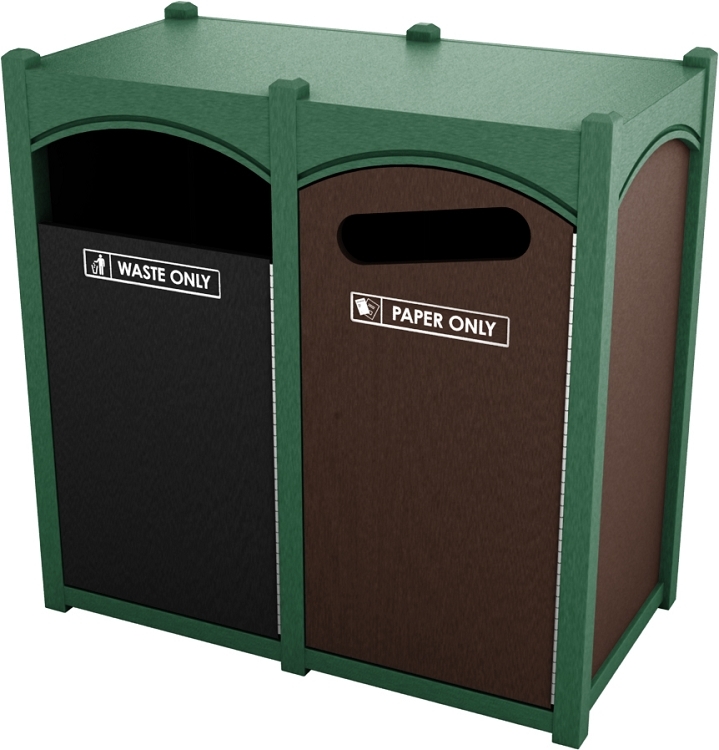 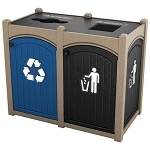 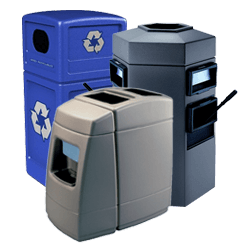 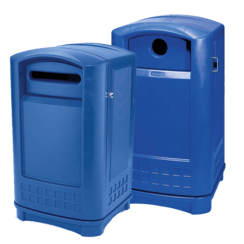 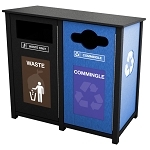 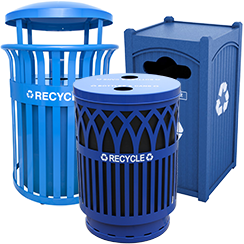 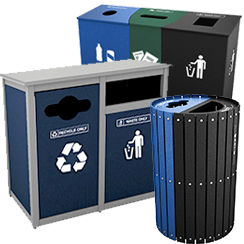 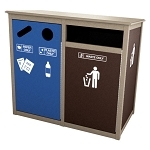 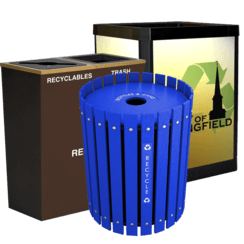 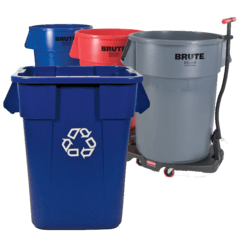 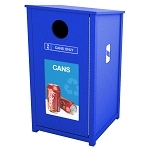 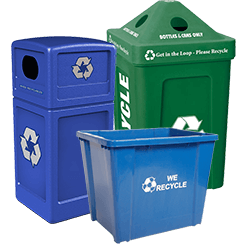 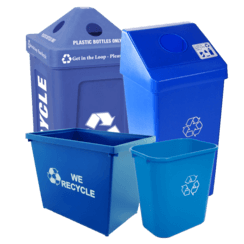 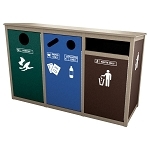 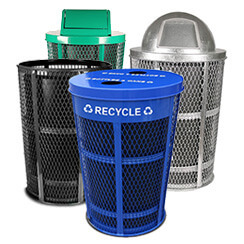 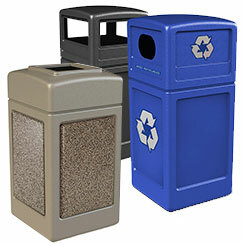 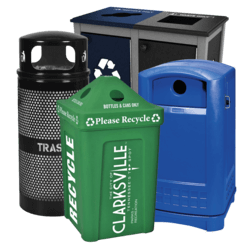 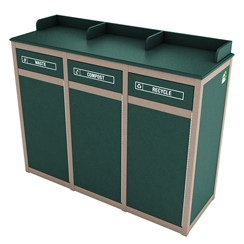 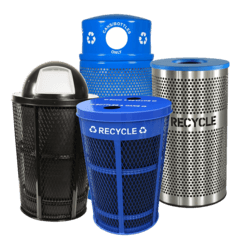 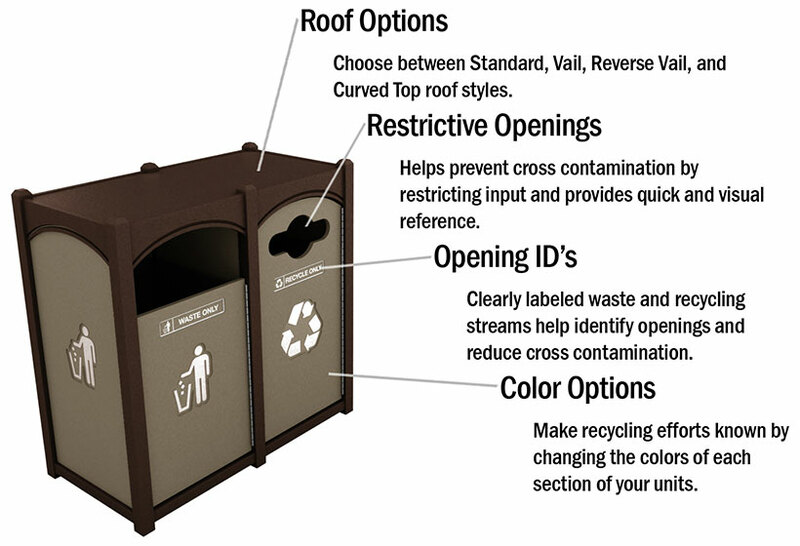 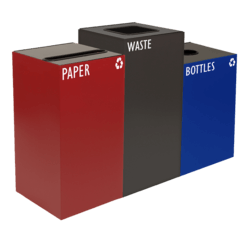 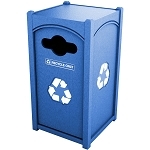 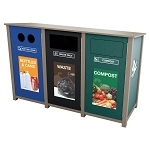 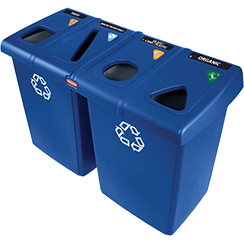 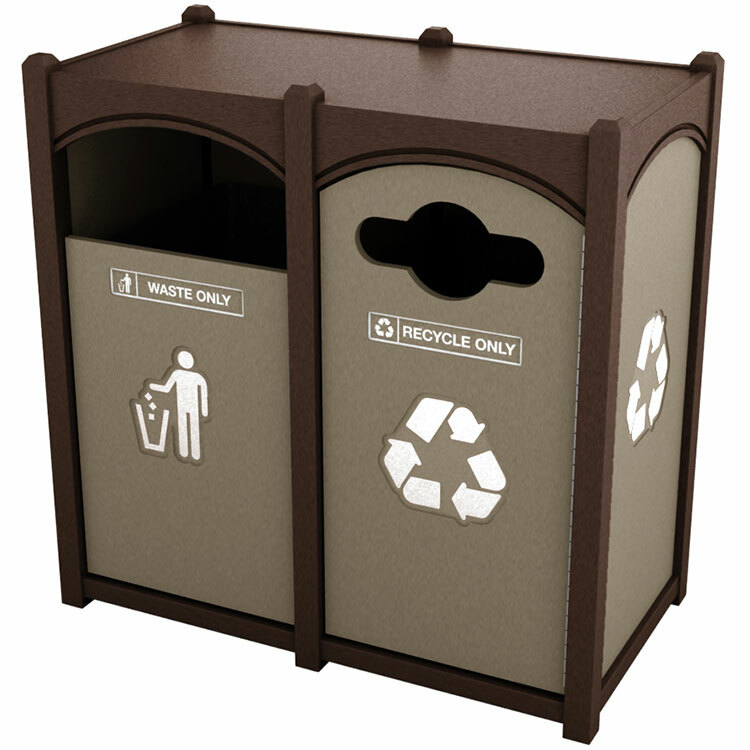 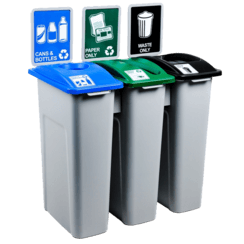 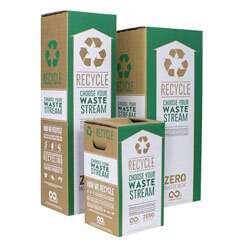 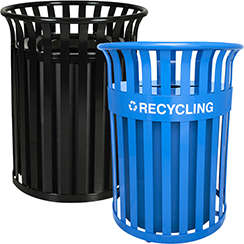 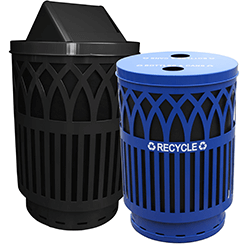 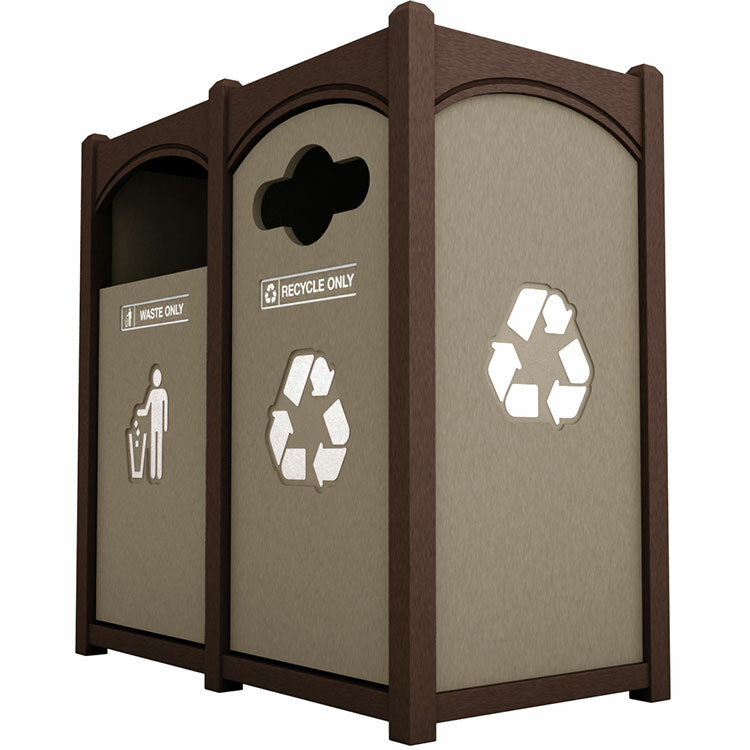 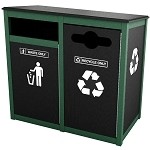 To minimize your environmental footprint, Recycle Aways Sustainability Series recycling stations are manufactured from high-grade plastic lumber made from recycled milk jugs. 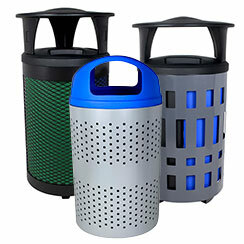 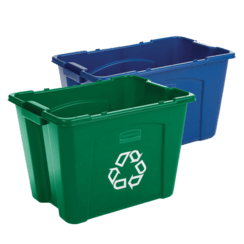 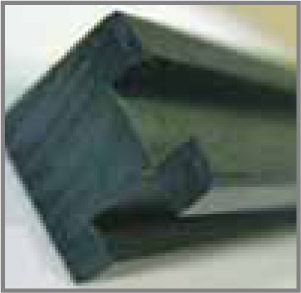 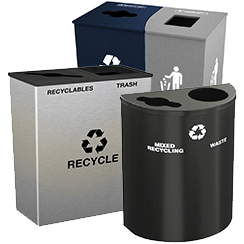 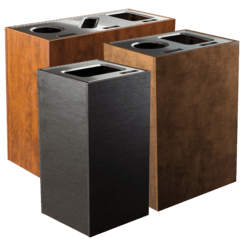 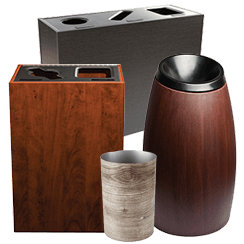 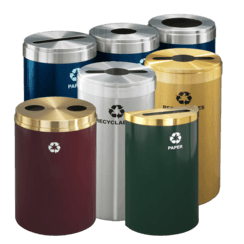 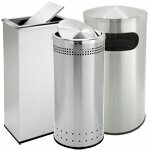 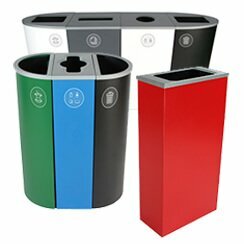 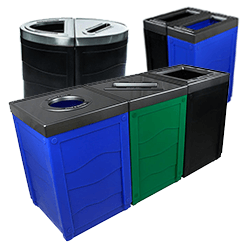 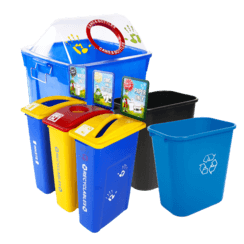 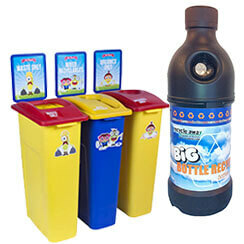 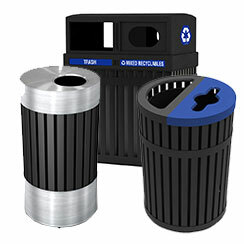 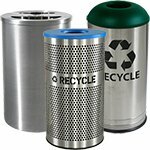 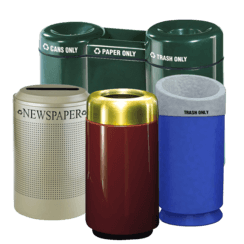 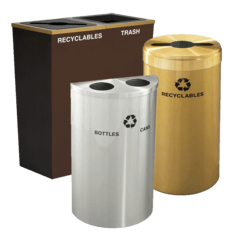 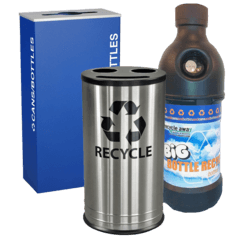 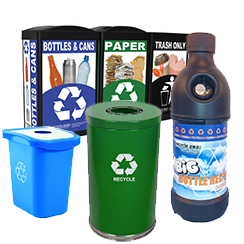 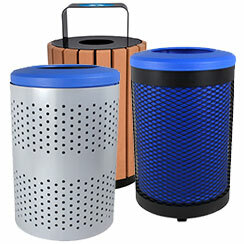 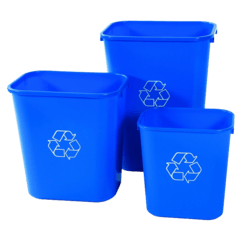 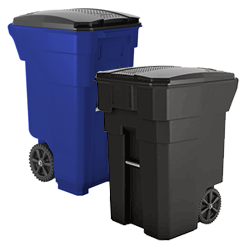 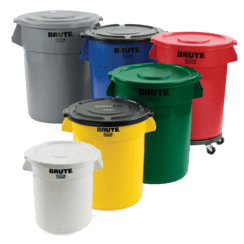 These innovative containers provide a highly attractive and durable solution for indoor or outdoor recycling. 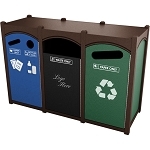 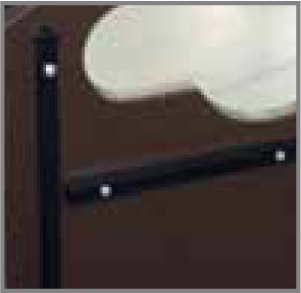 Each unit is totally customizable with options for colors, restricted openings, and custom logos and decals. 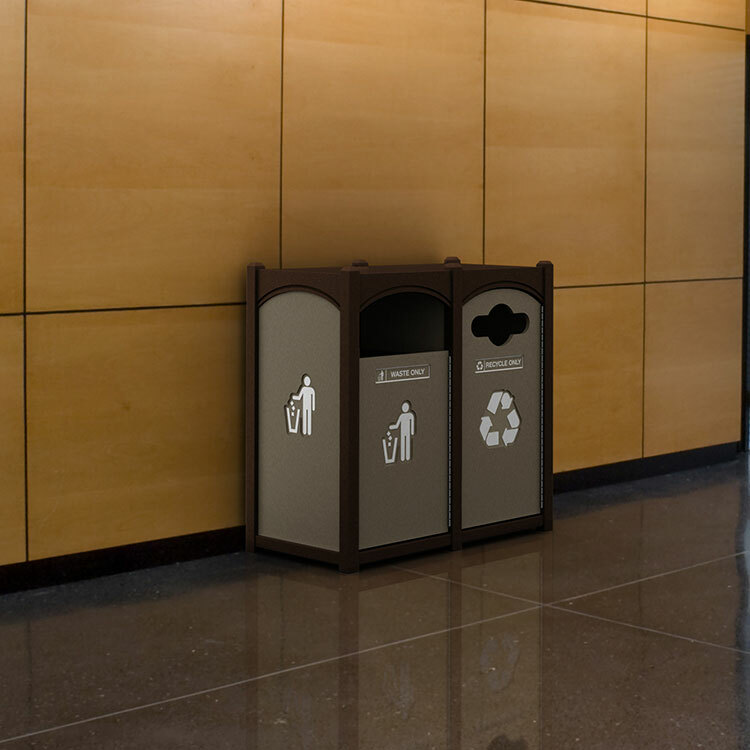 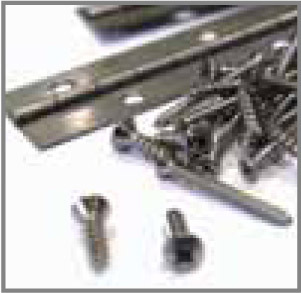 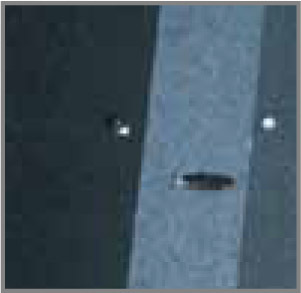 Please visit our photo library for a range of examples of the types of customization available in the Sustainability Series.